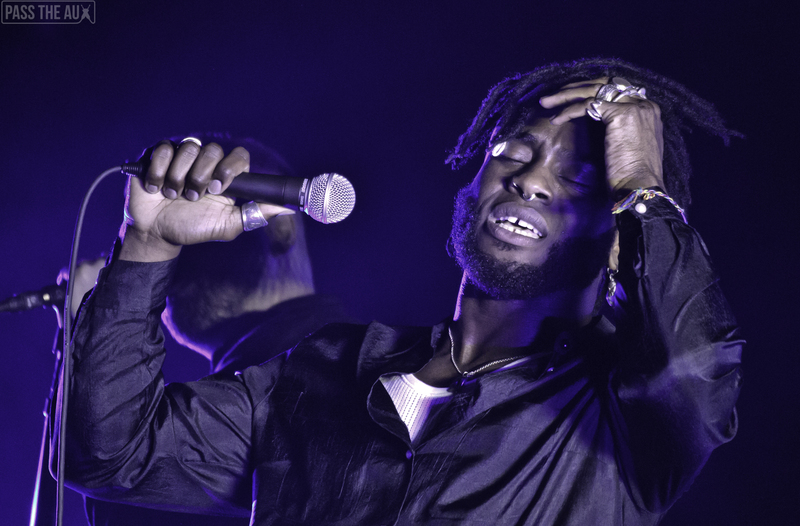 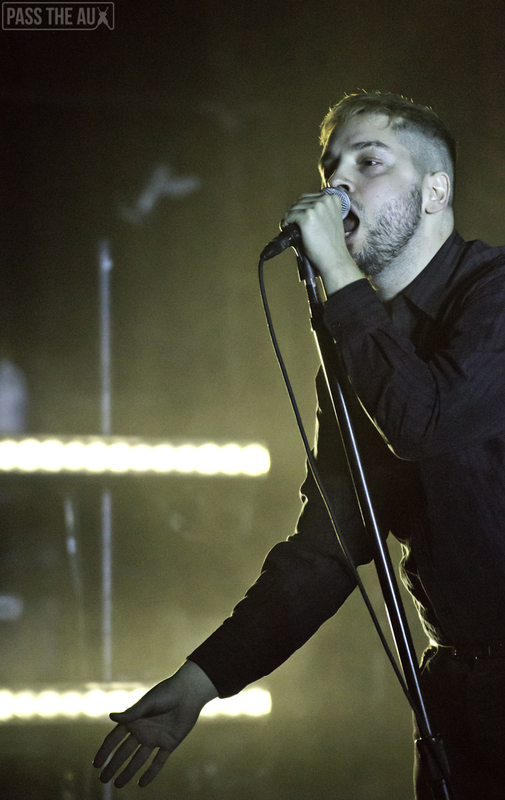 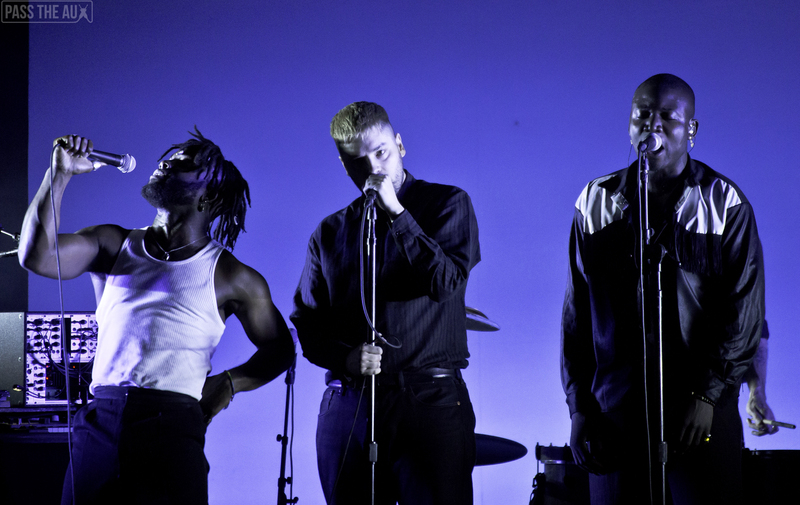 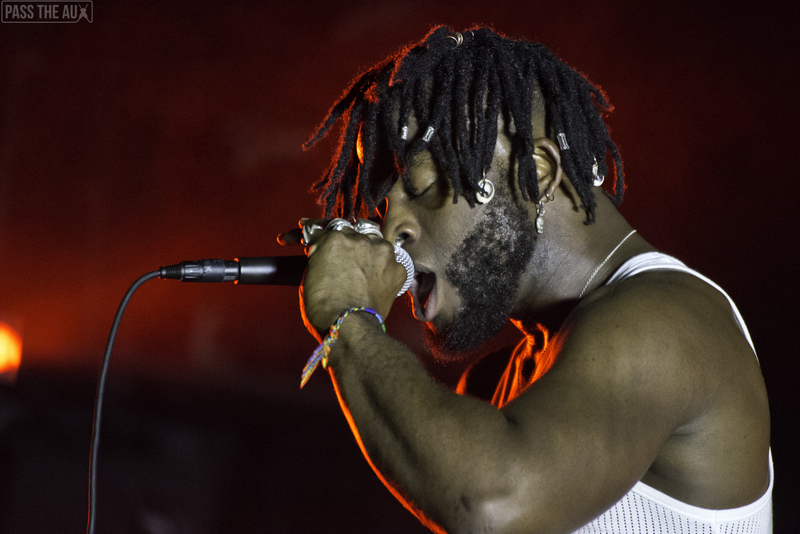 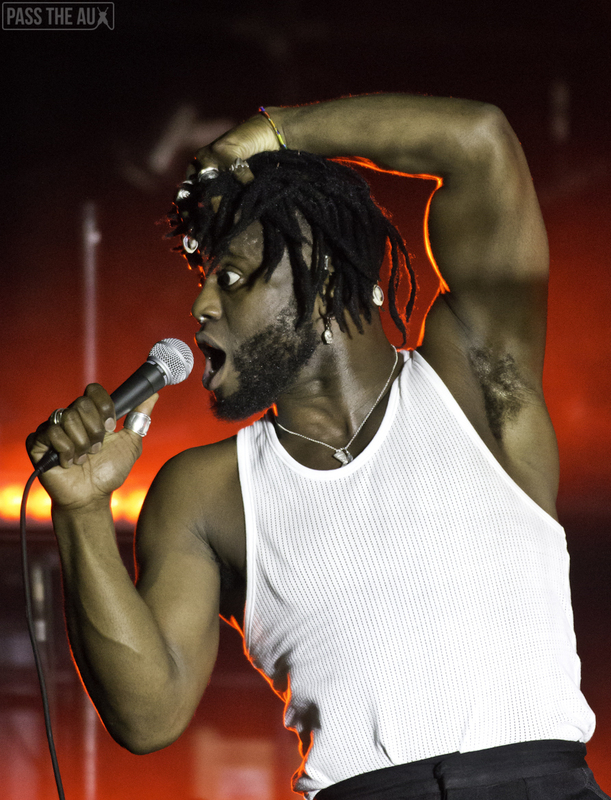 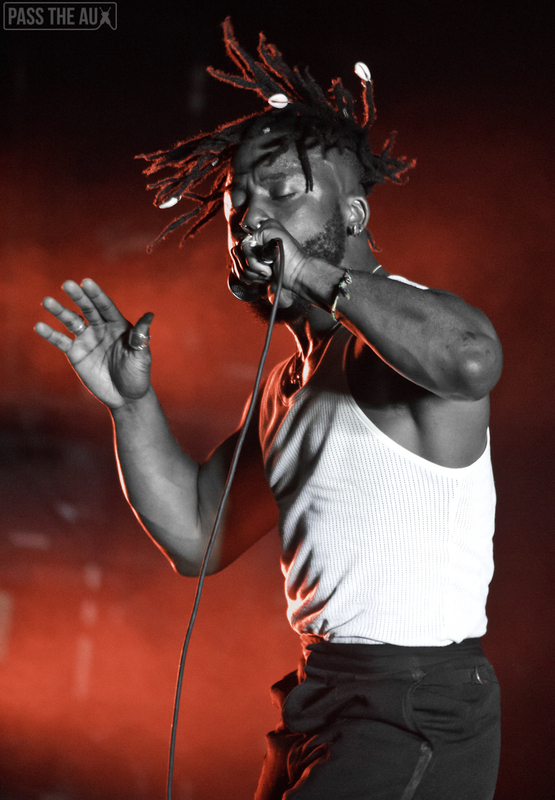 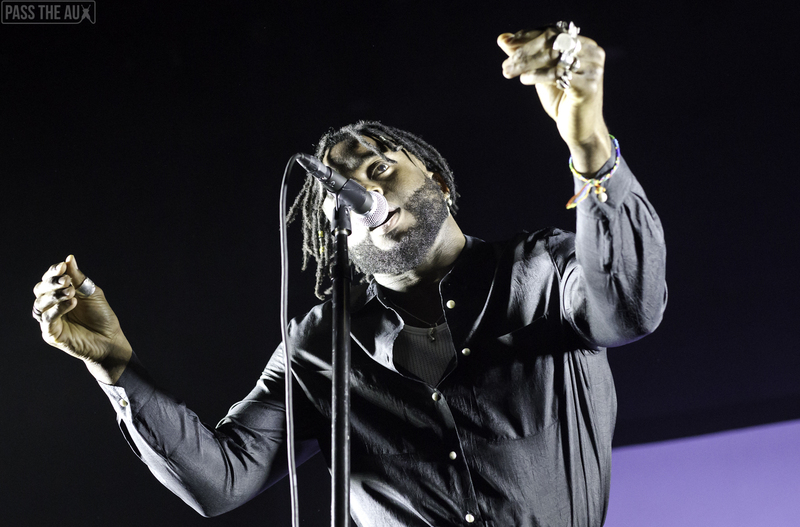 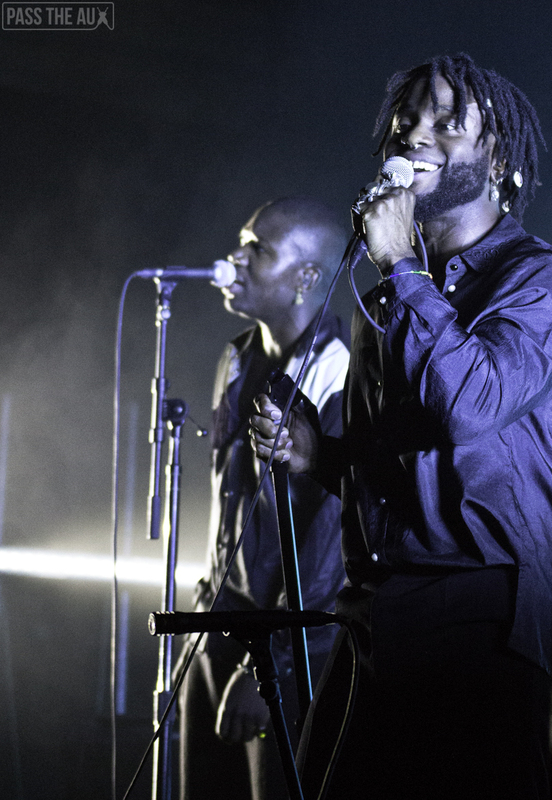 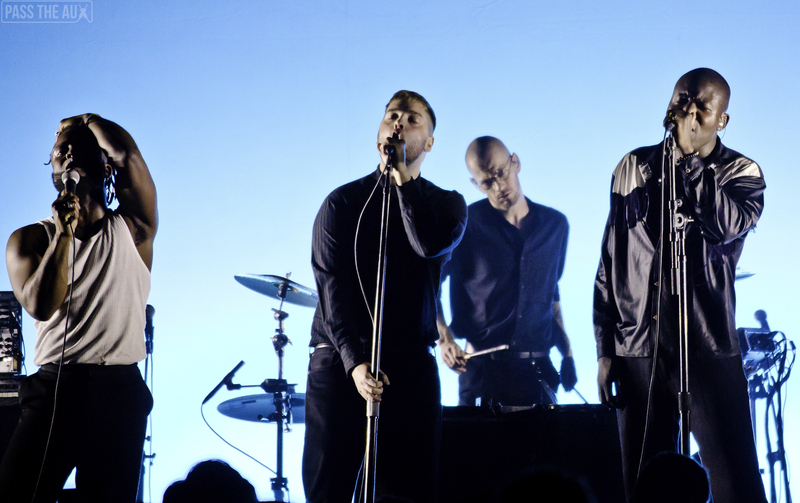 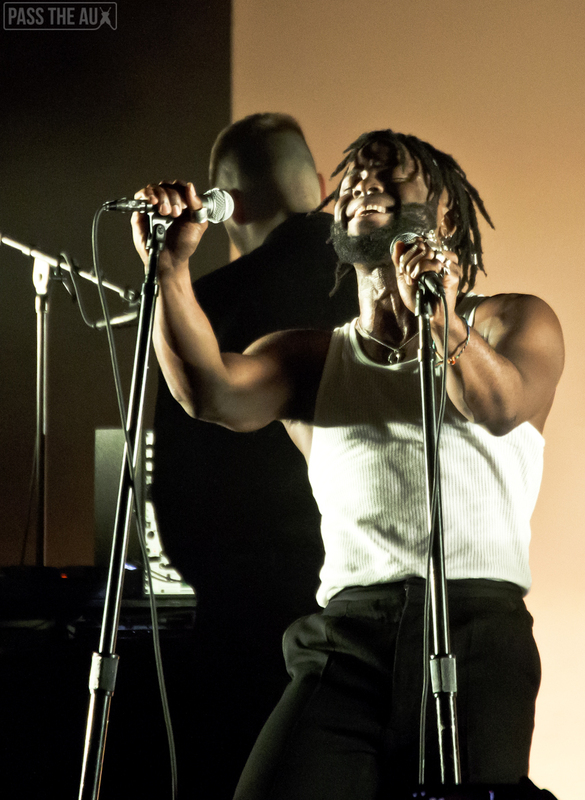 Friday night, Scotland trio Young Fathers arrived in LA to play the Fonda Theatre in support of 2018 release Cocoa Sugar. 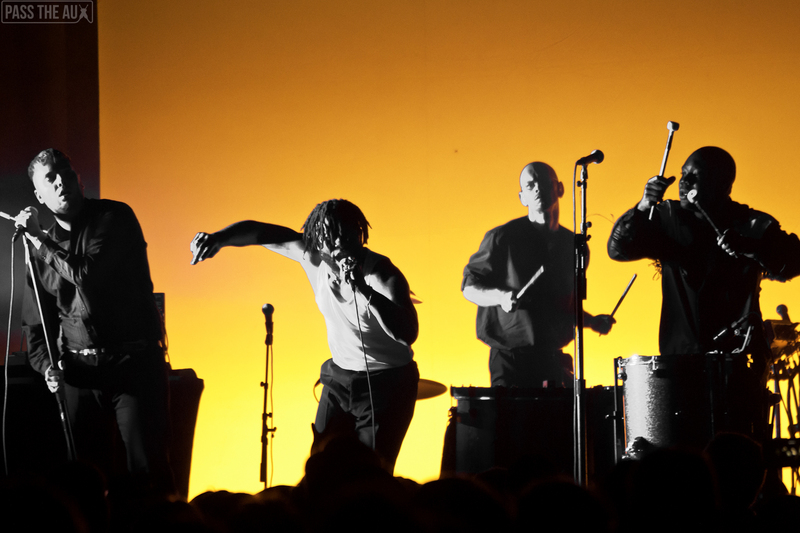 Raw driving drums, gospel interludes, plaintive singing, and fierce rapping all combined in a stunning performance. 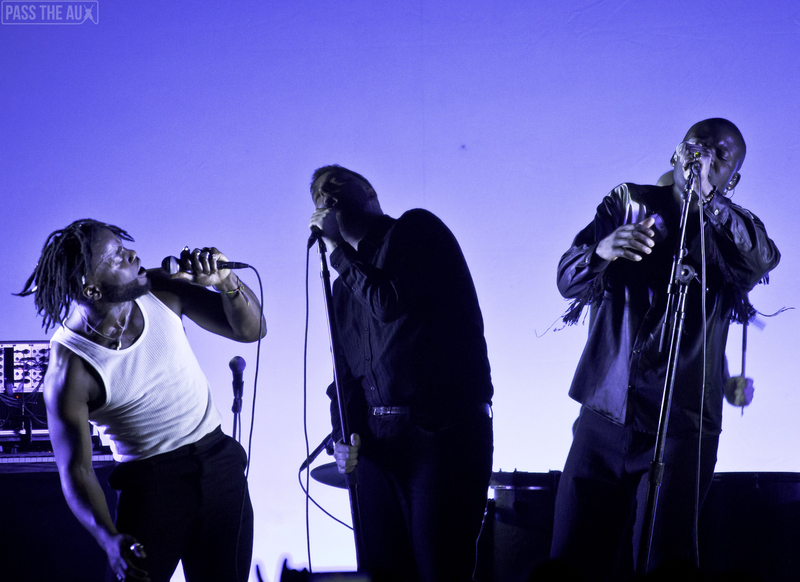 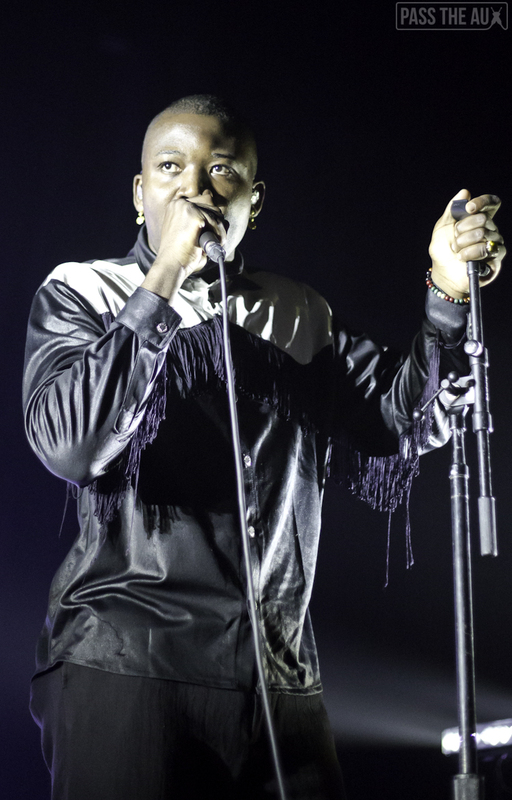 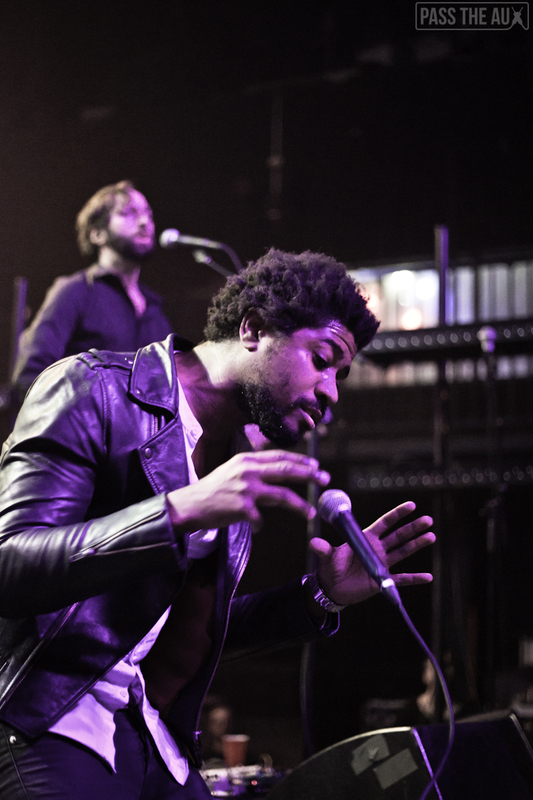 On a stark and barren stage, save for some drums and keys in the back, the three vocalists Alloysious Massaquoi, Kayus Bankole, and Graham Hastings alternated lead and backing vocals and took the audience on a journey of light and dark. 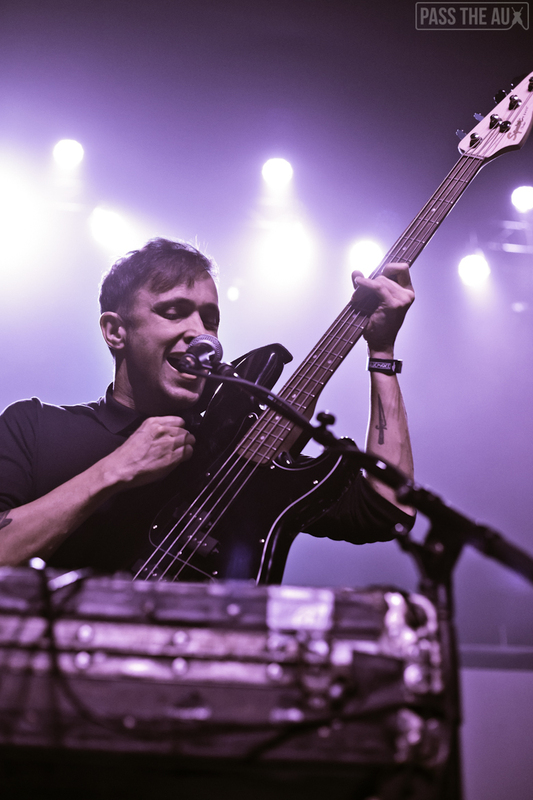 It was pummeling at times with driving rhythm and microtonal synth wavers. 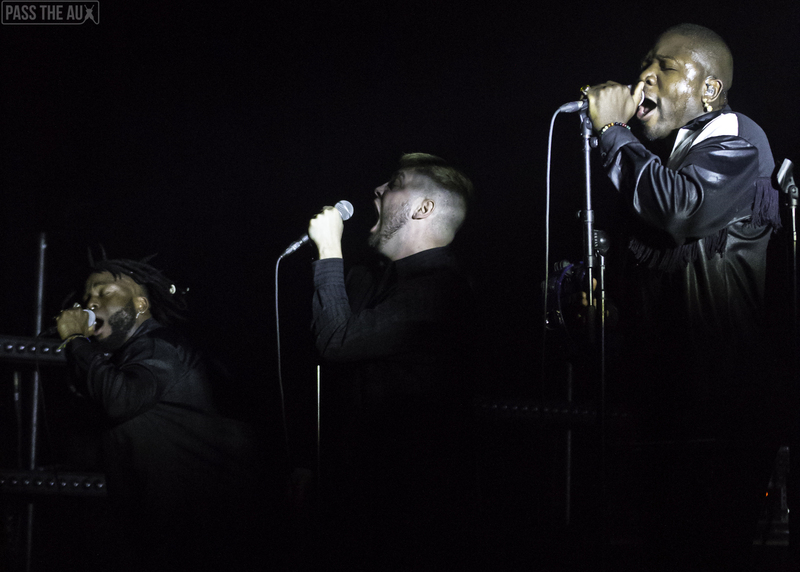 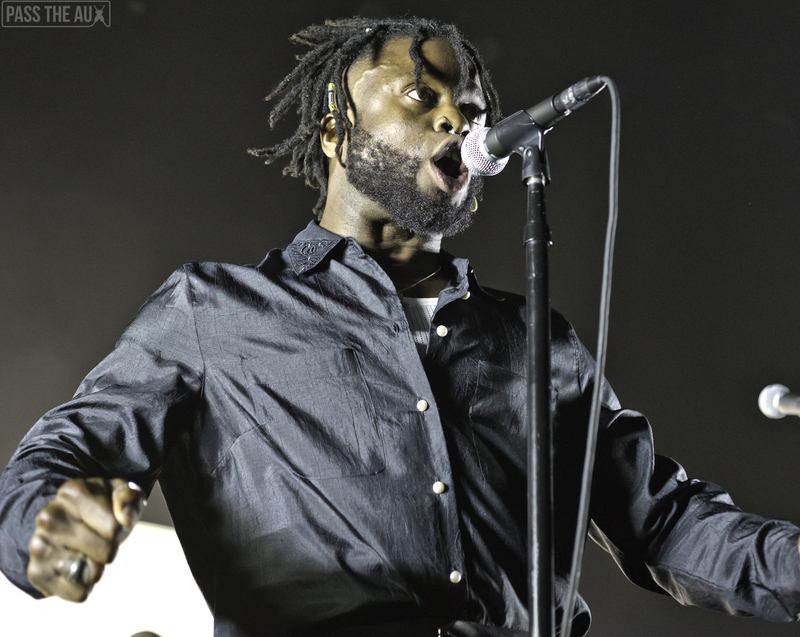 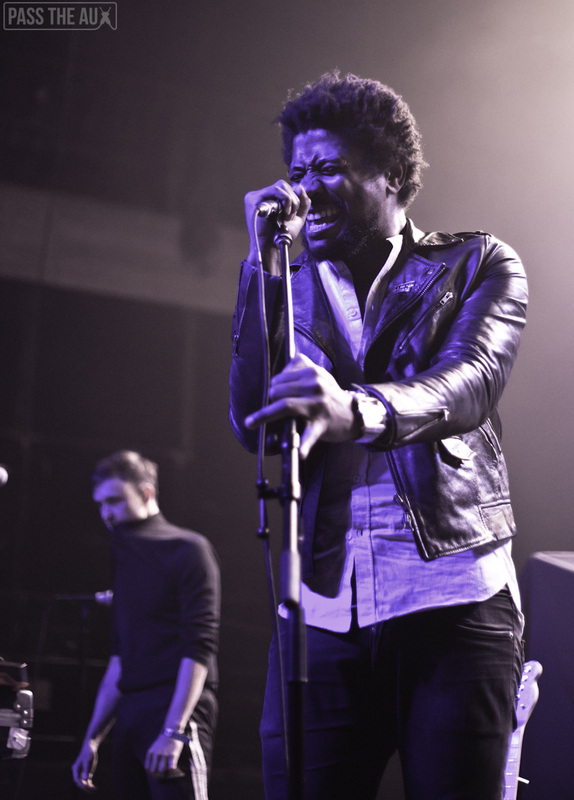 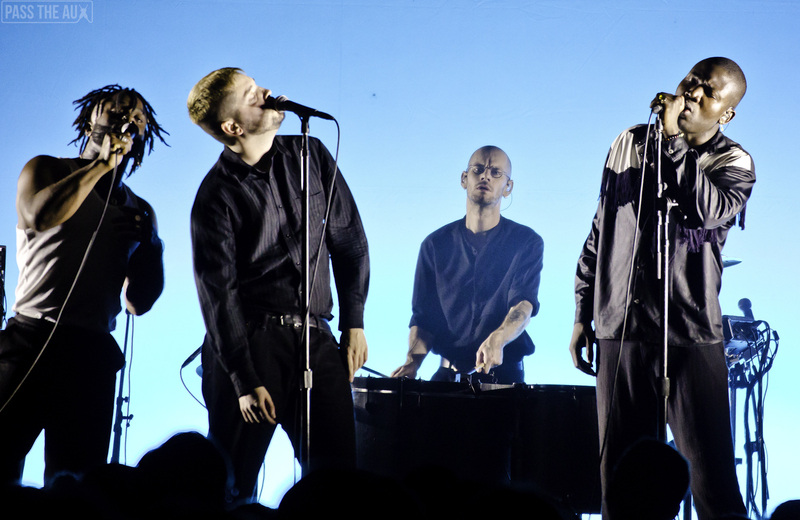 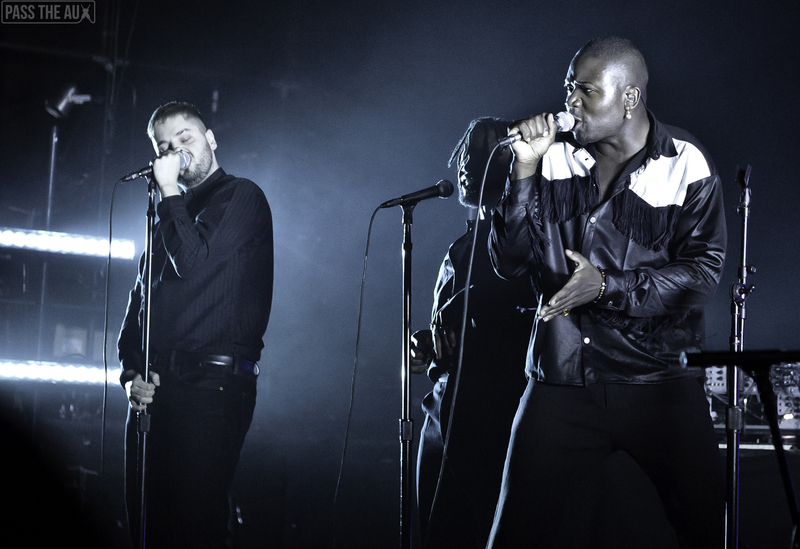 This was the case on one of Young Fathers‘ earlier songs to get big attention internationally, “Get Up” (from 2014 Mercury Prize winning album Dead) and at times lifting the spirits with gospel tinged tracks like “Only God Knows” and “Low”. 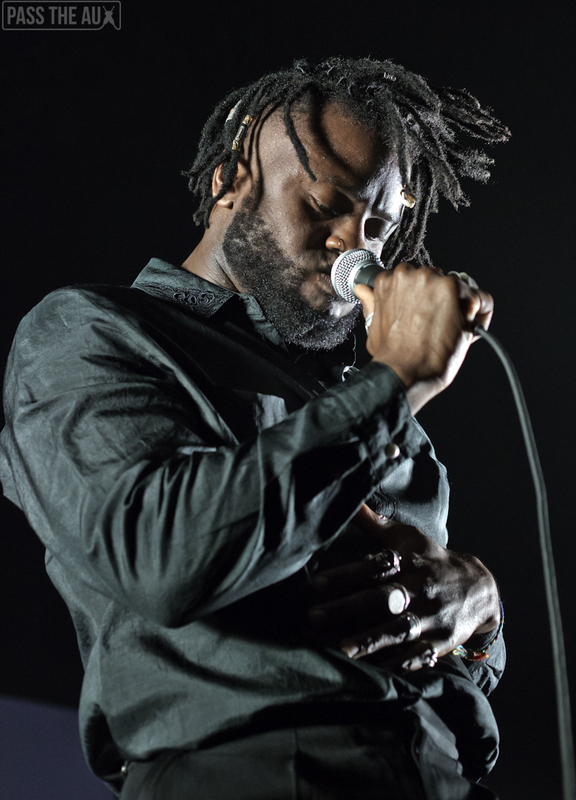 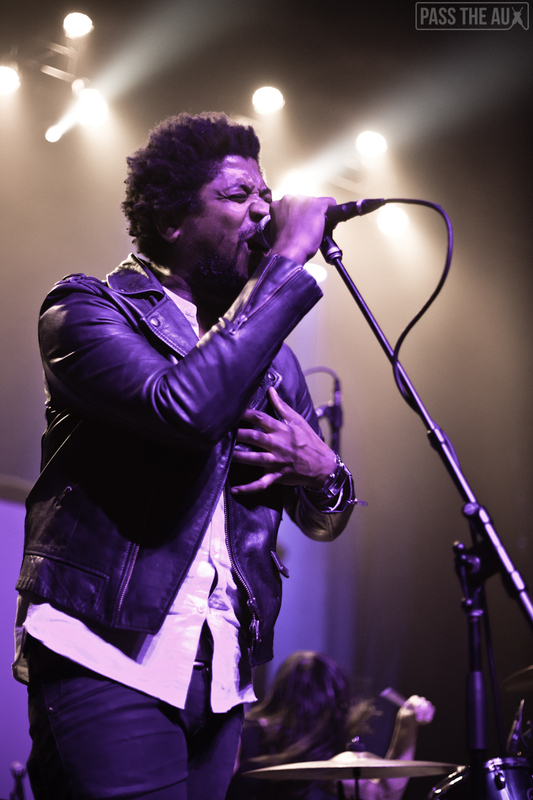 Visually, Bankole is the dynamite of the operation exploding energy from the stage throughout the set while Hastings and Massaquoi are a bit more reserved but sing with a depth and soul that feels a million years old and also brand new. 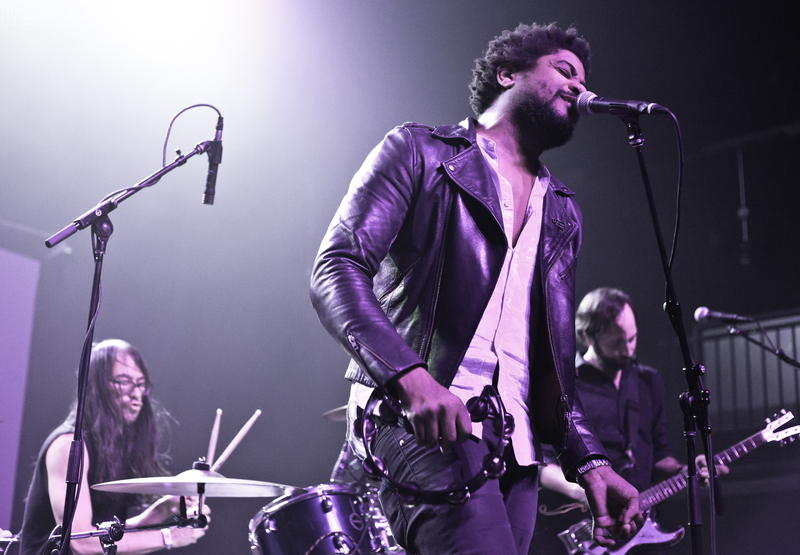 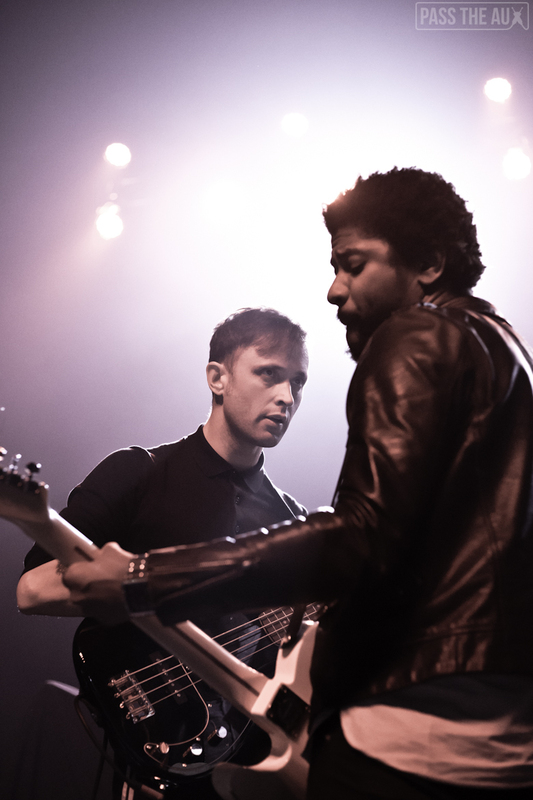 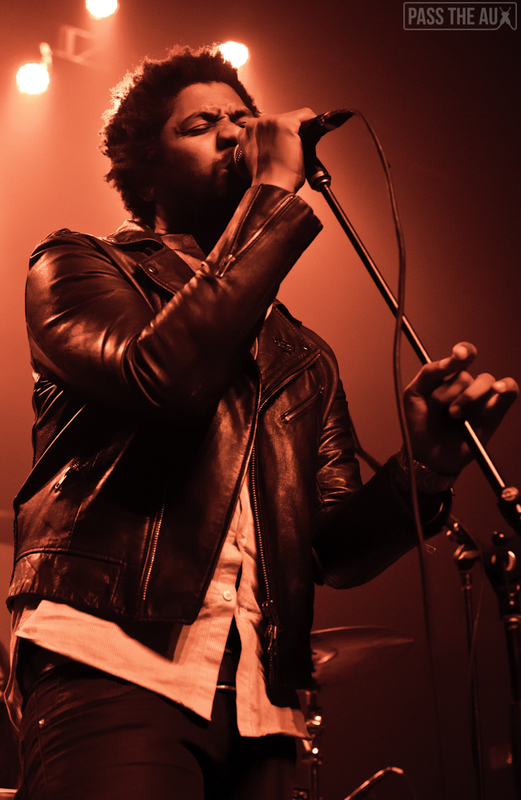 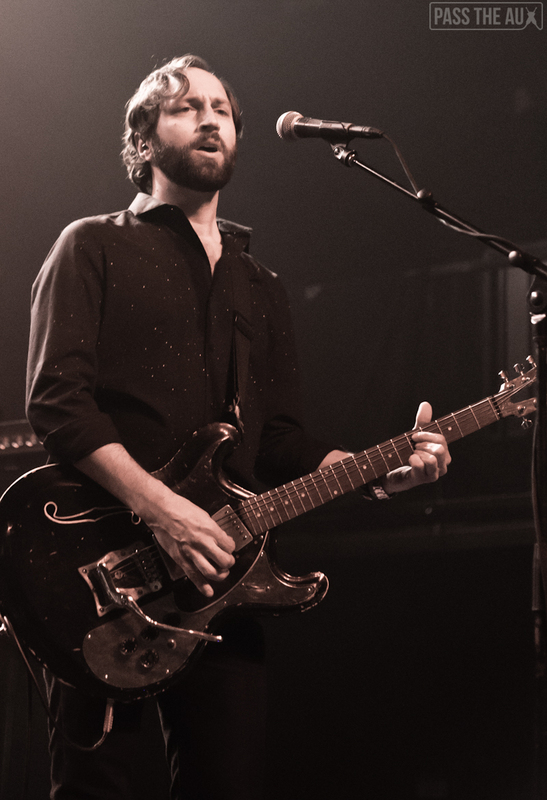 It seems like a mixture the band is always developing and it hits high points in the set with two songs from Cocoa Sugar, “In My View” and “Lord”, with deep self-reflective/questioning lyrics against a warbling organ background in the former and contrasting with sharp electronic synth ridges in the latter. 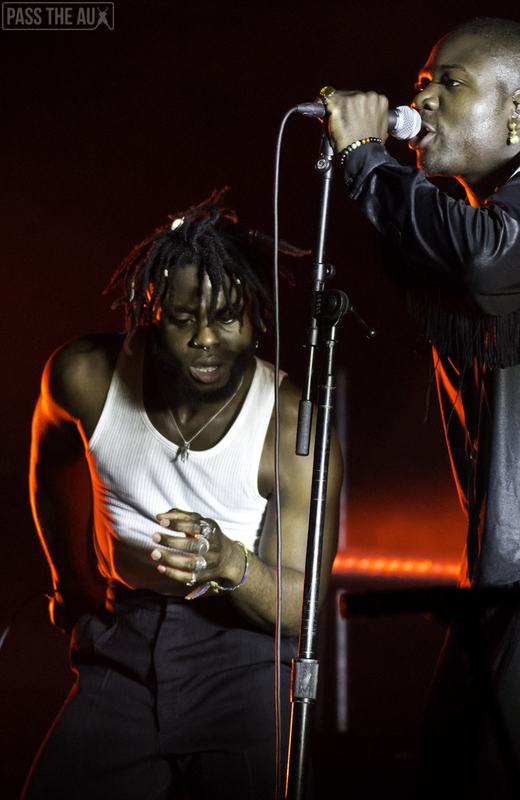 This all results in a pretty hefty amount of emotion throughout the set, feeling like an almost spiritual experience by the time it’s all over. 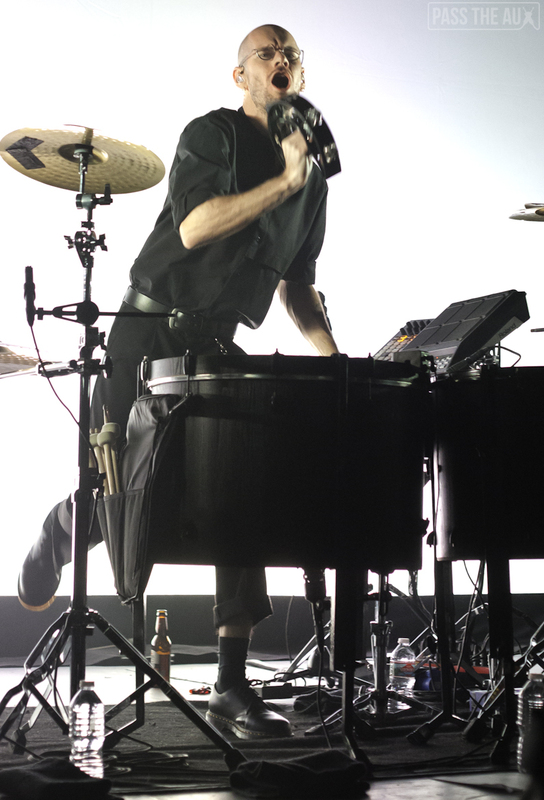 Which happened after they played as many songs as they could, without taking the customary walk off/applause/walk back on break for the encore. 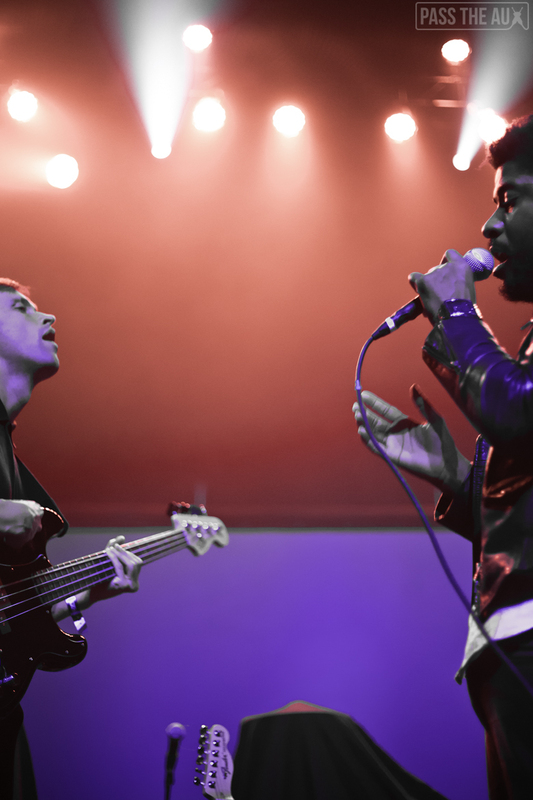 They just played right through. 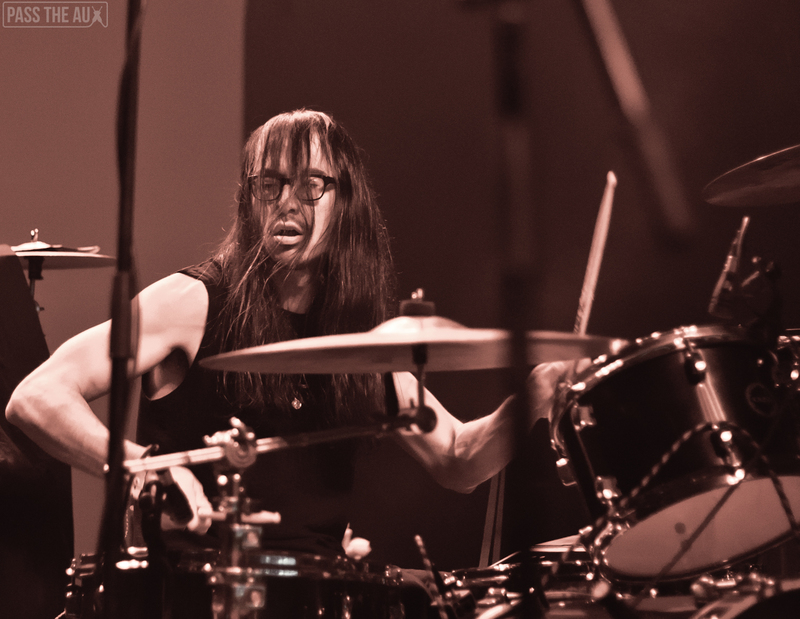 Which, obviously, is the way to go.